It's 3AM. I've finished reading this book around midnight and i'm a bit awestruck and still thinking about it. This is more a reaction, not really a review and I won't go into details here. 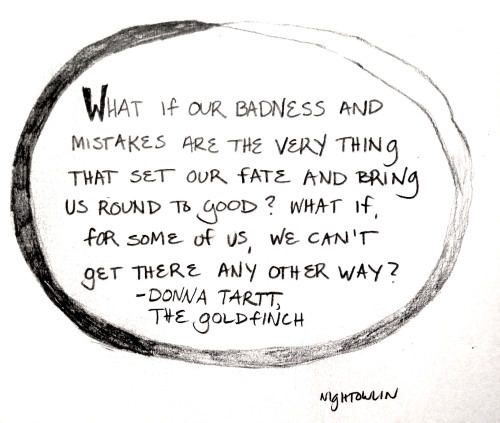 I must say that, before reading The Goldfinch, I didn't know much about the story, I didn't read any reviews before, which was good. I only read the blurb and some articles about it and because of that, I had relatively high expectations. They were more than exceeded. Right from the first chapters, I was compelled by Theo's longing, grief, melancholy and truly captivated by the unique concept, the uncertainty and mystery of the story. I'm not the most patient reader but, in this case, even in those parts where the narrative became a bit slow, I was always engaged and never bored. I was truly invested in this story and all its unique characters. These last five days, I never felt restless because of its length and when I couldn't read, I often caught myself eager to go back to Theo's story. I will probably re-read this book in the future. 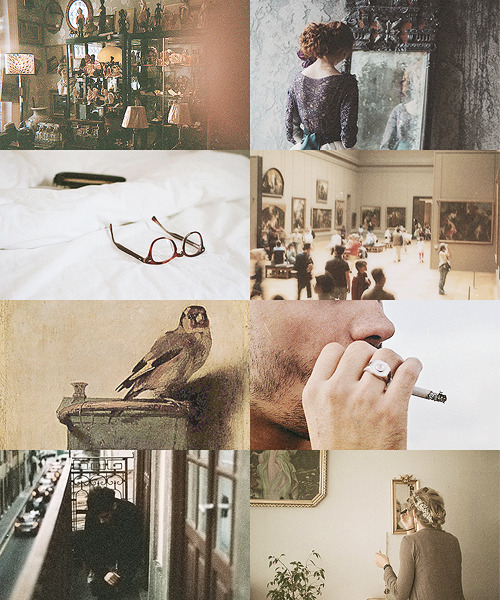 The Goldfinch is full of meaning,emotion, beauty. And the flavor of [her] kiss - bittersweet and strange - stayed with me all the way back uptown, swaying and sleepy as I sailed home on the bus, melting with sorrow and loveliness, a starry ache that lifted me up above the windswept city like a kite: my head in the rainclouds, my heart in the sky. It is heart-piercing, thought provoking, challenging, powerful. The writing is absolutely brilliant. An unforgettable work of Art.